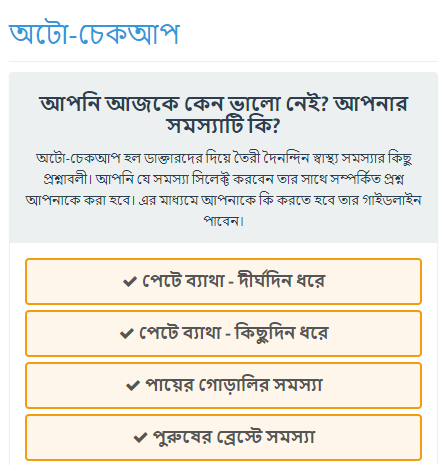 valoThaki is a platform where bengali speaking people accross the world can get doctor advice & consultation. Citizens have many questions regarding their health and they always try to find the answer somewhere. Here they can write their question with images of physical findings and/or reports. Registered and verified doctors of the platform can answer them on a regular basis. By using this, citizens can get appropriate information which will in turn increase the health awareness of the society. Here users will be asked to select his/her current health problem. Then some close ended questions will be shown to him one by one, based on the response provided. Finally, according the algorithm set, a guidline will be shown to them. We identified more than 40 daily life health problems and questionnaire development is ongoing. So far 16 problems are ready to use. The questionnaire are being developed according to the AAFP (American Academy of Family Physician) protocol. 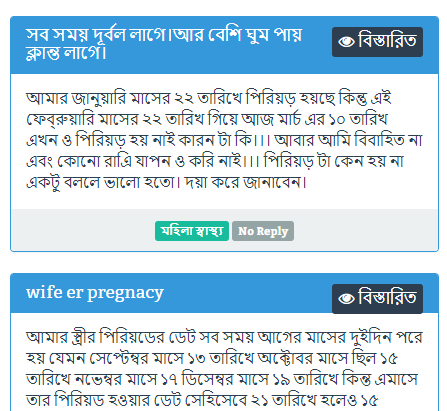 To increase the health literacy among all level of people, health articles will be published in different category. Each article will be simple, concise, informative and easy to understand. We have selected more than 950 topics in different category which will be written by the help of recent journals and medical text books and will be published. Besides, one video clip for each article will be created so that message can be reached simply by watching. 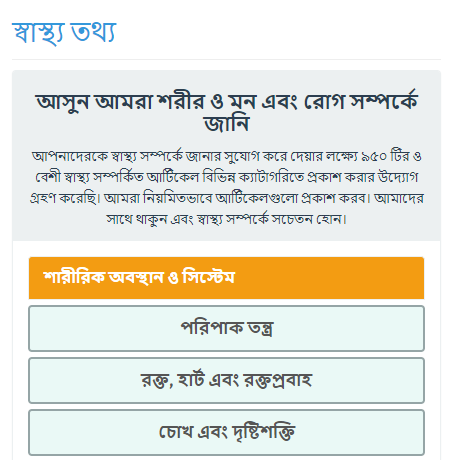 When all the article will be published, It can be used as health Info repository of the country.